Pope Francis has granted clemency to a Spanish priest who was convicted of leaking confidential Vatican documents that were used by two Italian journalists to expose Holy See secrets. Monsignor Angel Lucio Vallejo Balda was offered the “benefit of conditional release” having already served part of his sentence. Msgr. Vallejo was found guilty of leaking the classified Church documents and was sentenced to 18 months in prison in July. The 55-year-old priest will now be released. He is expected to return and serve in his home diocese of Astorga, Spain. No further details were offered by the Vatican. Five people were put on trial in 2015 for obtaining and leaking confidential Vatican documents, which were later published in two books. Two of them – Msgr. Lucio Angel Vallejo Balda and Francesca Immacolata Chaouqui were members of the Commission for Reference on the Organization of the Economic-Administrative Structure of the Holy See (COSEA) which studied possible reforms of the Vatican financial system in 2013-2014. A third person involved in the "Vatileaks II" case was Nicola Maio, a secretary to Msgr. Vallejo. In addition, the high-profile case included two other defendants – authors Gianluigi Nuzzi and Emiliano Fittipaldi. Nuzzi's work, "Merchants in the Temple" and Fittipaldi's book, "Avarice" alleged widespread financial mismanagement in the Vatican. The journalists exposed the workings of a Vatican commission set up in 2013 to advise Pope Francis on reforming Vatican bureaucracy. At the end of the eight-month trial, Balda was sentenced to eighteen months in prison, while Chaouqui was given a 10 month suspended sentence. The two Italian journalists who wrote best-selling books based on the leaked documents were cleared by the court on the grounds that the Vatican has no jurisdiction over them. A fifth defendant, Nicola Maio was found innocent. 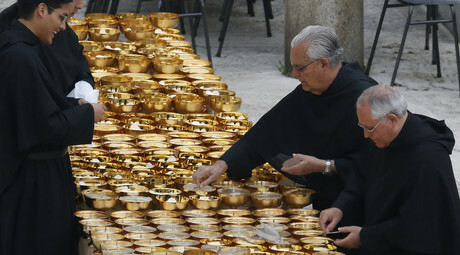 The so-called "Vatileaks II" came four years after the first Vatileaks scandal, in which Nuzzi published the private correspondence of Pope Benedict XVI. 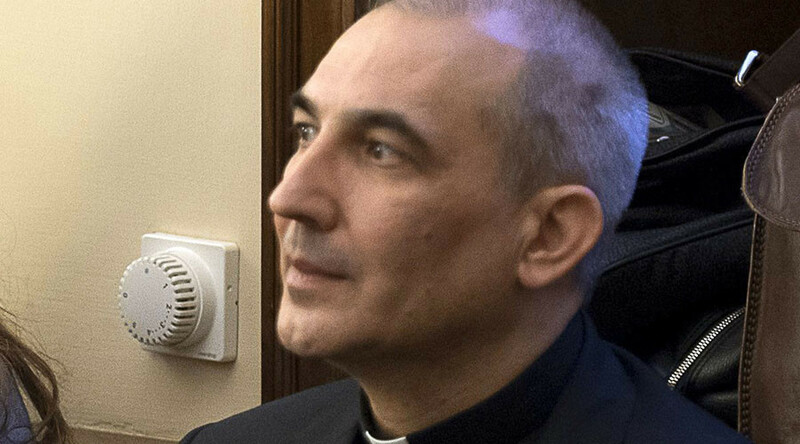 The man behind the first leak, Paolo Gabriele, the Pope’s butler, was jailed in October 2012 to serve 18 months behind bars. However, Benedict pardoned him after just two months in prison.